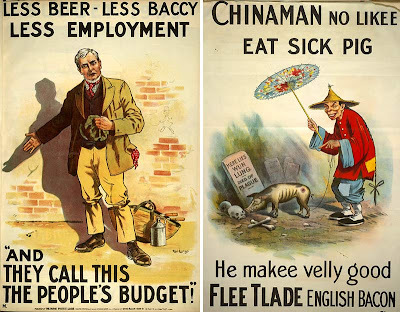 Here are a selection of posters from old election campaigns. 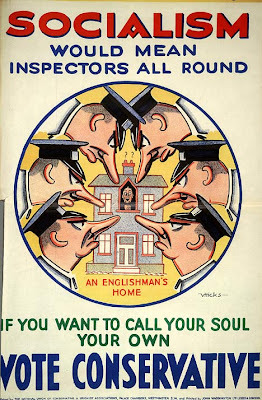 The Labour Isn't Working was an iconic one partly credited with putting Thatcher into power - it also tells you something about Charles Saatchi because it was a Saatchi and Saatchi/Tim Bell creation. 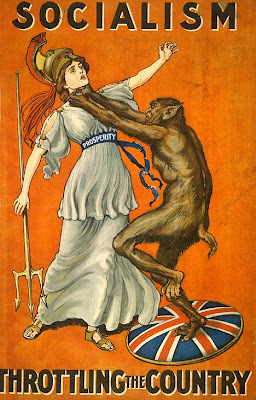 The Blair Demon Eyes one is truthful and so is the Blair as a puppet but it should be George's knee he's sitting on. Sorry Helmut, you can't take him home. 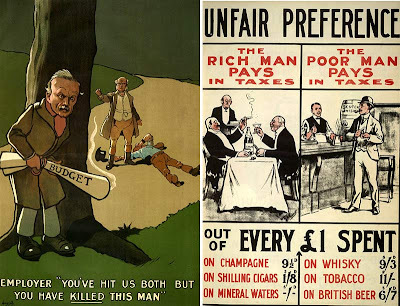 And some more old posters from the Conservatives (via the Daily Mail, Lord Forgive Me), which are evocative of all kinds of things, past and present, and have me scratching my head a bit - probably those socialist fleas biting.Pots and kettles spring to mind as well.